Home Globe Globe Call Globe Call N Text Globe Combo Globe Gosakto Globe Promo Globe Surfing Globe Text GOTSCOMBODD90 has 2GB for surfing and unli allnet texts, valid for 7 days. GOTSCOMBODD90 has 2GB for surfing and unli allnet texts, valid for 7 days. Globe News: End the year by binge-watching your favorite shows with GoWATCH 29! For only P29, you get 2GB for all-day streaming on YouTube and other video streaming apps. You must be registered to a surf promo such as GOTSCOMBODD90 to enjoy GoWATCH 29. To get 2GB for surfing and unli allnet texts, valid for 7 days, text GOTSCOMBODD90 to 8080. Then text GOWATCH29 to 8080. Valid till 1/31/18. Per DTI-FTEB Permit No. 14526, Series of 2017. No advisories? Text STOP to 2682 for free. 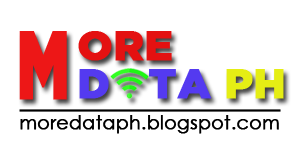 More Data PH will bring updated promos and combos for call, text, call and text and even more on data for surfing videos, music, and online games and moresoover in some of the leading telecommunication network here in the Philippines namely SMART and Globe Telecom. So stay tune for more updates and feel free to spread it out. GoSURFBE34 is the cheapest Gosakto Promo good for 15 days. GLOBE PROMO 2018: GOCOMBOAHBBFF170 is good for Text plus Call and Data good for 30 days. GOCOMBOAAFBFC67 is the best Unli Data good for 3 days. Globe Update Promo 2018: GOCOMBOAKCOF139 has 30 days validity. GLOBE PROMO 2018: GOCOMBOAKFB59 is UNLI Data for 2 days.